Wouldn’t you love it if you could buy your dog a toy to last him the entire year and also keep him/her interested in it throughout? If you’re thinking “fat chance of that happening”, we don’t blame you. You’ve probably gone through the disappointment of watching a toy fresh from the store quickly torn to pieces by your dog more times than you care to remember. 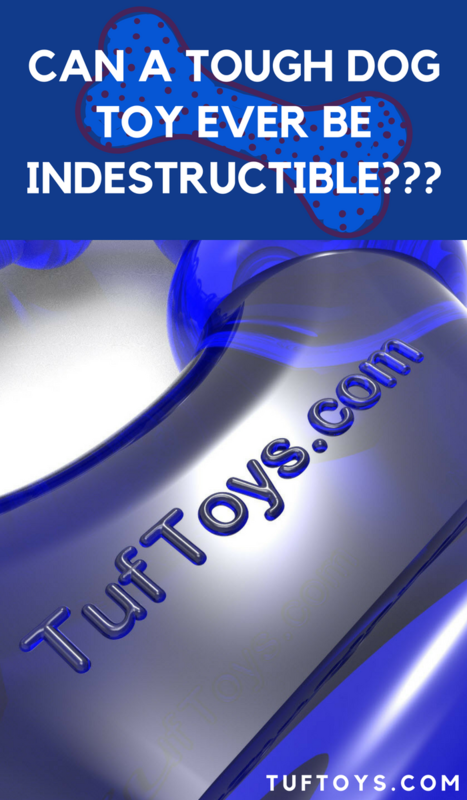 Are There Toys That Are Truly Indestructible? How Do Plush Toys Compare? It’s a proven fact that most dogs, be they small, medium or large, are hardwired to destroy playthings, including the most indestructible dog toys. This is something that can be traced back to their wild ancestry. If you have the privilege of being the caretaker of such a power chewer who gets a kick out of “killing” toys, chances are there’s a pile of mangled toys lying somewhere in your house by now, courtesy of your dog’s “problem solving” abilities. Of course, this makes them all the more lovable if only the price of the toys didn’t dent your bank balance quite so much. 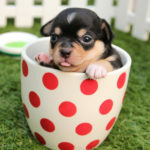 But it’s not just powerful dog breeds like Labs and Pit bulls that cause all the damage, small dogs like Terriers aren’t exactly known for their forgiving nature when it comes to handling toys. Whether it’s made from plush, tough durable ThermoPlastic Rubber, like TufToys, vinyl or rope, once they’ve put their minds to it, power chewers have the will to find a way of ripping to shreds any plaything they come into contact with. We all know that teething puppies don’t need a second invitation to chew at things. At about 4 to 5 months of age, they get into this frustrating habit, not out of malice, but because they need to alleviate the discomfort they get from incoming teeth. Combine this with their natural curiosity for all things new, and they’ll promptly put anything into their mouths like any normal 2 year old, and you have a recipe which is disastrous for your shoes, furniture, and books alongside any puppy teething toys you may have. Faced with these kinds of challenges, it’s hardly surprising that many toys don’t make it through 3 play cycles. Perhaps a closer examination of these toys can help us determine how well different toys can stand up to your dog’s bullying tactics. Chewable toys are popular with dogs because they exercise his body and keep his mind occupied for hours on end while doing wonders for his oral health. 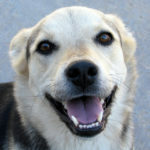 When your dog is kept busy and contented in this way, he is less likely to get into a lot of mischief, more inclined to take a nap and less likely to bite. Edible chew toys are purposely made to be destructible so as to satisfy your dog’s cravings and double up as treats. They’re made from natural materials like rawhide, chew hooves, deer antlers and bully sticks which break down into smaller pieces as they’re chewed. Some edible chew toys can have a shelf life of up to 5 years – going by the websites of some dog toy makers – so they’re fairly long-lasting. However, concerns have been raised with regard to how safe and hygienic edible dog toys are, considering how they’re processed and treated before packaging for sale. Some have been known to cause bad reactions in a dog’s digestive system. These are made from synthetic material like plastic, rubber, nylon or composites such as thermoplastic rubber of various strengths, which make them extra tough yet, at the same time, elastic and resilient. Because of these tensile properties chew toys made from polymers can withstand your dog’s worst punishment and have a longer lifespan than regular dog toys. Non-edible chew toys sometimes come with additional features like tiny bristle-like projections to keep your dog’s teeth clean; these type of chew toys are not meant to be ingested, although the tiny bits of plastic which come off can be eliminated safely by your dog. These chew toys can be stuffed with treats, or coated with flavors to make for a more satisfactory chewing experience. TPR toys can be molded to be very dynamic in ways rubber and vinyl toys cannot. 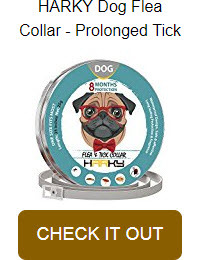 They can be used for interactive games such as tug-of-war where they work wonders in keeping 2 or more dogs entertained or fun and interactive fetch games when your dog has had enough of chewing them by himself. Our Big 14″ Super Tough Dog Toy, is a perfect example of a toy that’s designed both for chewing and as an interactive toy. Because of its flexibility, both large and small aggressive chewers can exercise their jaws on it without hurting their teeth. 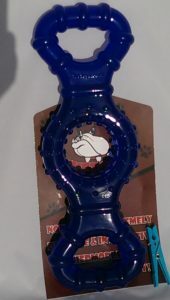 By having an interesting shape, texture and translucent blue color, this toy keeps your dog engaged throughout, giving him the extra exercise he needs to use up all that pent-up energy. Because a dog’s visual spectrum it skewed away from the red end, they are unable to pick out red very well as opposed to blue so, for the main part, blue toys will stand out better on most carpets etc. Our Frisbee is yellow for the same reason, but this color is more suited to contrasting with the grass outdoors. When it comes to indestructibility, the jury is still out on how rope toys perform since their toughness is largely dependent on the toy’s design. Rope toys are highly dynamic and can come in the form of knotted ropes, dolls, pull toys, or balls you can use to play fetch. The problem with the doll and ball types is that they can unravel as they’re chewed by your dog, and end up fraying around the edges. These two types are therefore best reserved for less aggressive chewers, or else you could easily end up with the same problems encountered with less durable toys. For bigger dogs and power chewers, knotted ropes are sometimes the way to go. 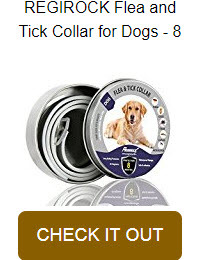 These can be as thick as one inch (they can take the pressure of a 90 lbs dog) and woven into a thick cord which is both tough but at the same time forgiving to your dog’s teeth. Those which are made from cotton or natural wool are especially recommended because they’re safer for your dog, and also help clean his teeth. 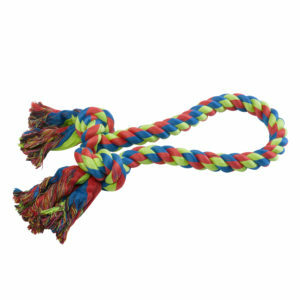 The one major drawback with rope toys is they tend to come loose around the edges which can choke your dog, or clog up his digestive system when bits of rope are swallowed. This is the main reason knots are made on the ropes – to make it impossible for your dog to fray the ends and potentially end up ingesting bits of rope. Bottom line? Rope toys are great to have because you can play different kinds of games with them, but make sure you go for the right size of rope and choose one made of natural fiber. You might wonder, “If plastic is so good, do I need plush?” While plush may not stand up as well to the punishment meted out by a power chewer, it’s good to remember that dogs too need some variety when it comes to the toys they play with. Plush toys are also good for “hunting” games because they are designed to look and feel like animals. Some dogs like carrying plush toys around in their mouths while others are driven by their primitive instincts to rip them open. Toy makers have wizened up to the destructive habits of aggressive chewers and come up with designs that are capable of surviving more destructive treatment. Some of the toughest plush toys have an inner protective lining made of a tough synthetic material – like polyester – to reinforce the toy. 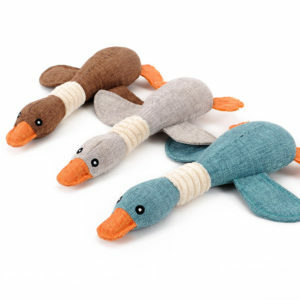 The toys are also usually double stitched with heavy thread and may have the seams hidden to prevent your dog from gaining access to the toy’s innards. The result is a toy which can “withstand over 100 pounds of tugging and pulling” according to information from some toy makers’ websites. So confident are some makers of the superiority of their indestructible plush toys that they guarantee a one-time replacement if it doesn’t meet the customer’s expectations. Generally speaking though, all but the toughest of plush toys will be easily destroyed by all but the least aggressive of chewers. Sure there are ones made of really tough synthetic material but even the toughest of these won’t be as strong as rubber and especially the strongest thermoplastic rubber composites. For some dogs, squeaking seems to be the sole motivation for destroying the toy. Many dog owners can attest to this queer habit where their pet hounds voraciously attack the squeaky toy, tearing it to bits and only stopping when they’ve silenced the squeaker. It’s almost as if the game is to make the squeak stop, or maybe it excites them to simply destroy the toy as quickly as possible. Certainly, you may have had this experience with your dog before- they see the objective of this toy game is to be ripped apart as soon as possible! How do you get around this problem? Simple, put the squeaker inside a tough plastic toy! That’s what TufToys have done with their Big Tough 11″ Interactive Pet Dog Toy which also doubles up as a toy for playing fetch, as well as floating in water, making it ideal for playtime in the pool as well as dock-diving training. Some toymakers fix multiple squeakers inside their toys just to keep things interesting. 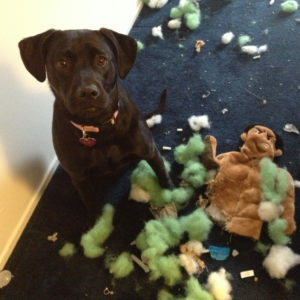 This way your dog can enjoy the toy for a longer period of time. If they’re hell-bent on making the squeaks stop, it may well be a futile exercise but fun for a while at least. Think of it as a somewhat expensive but fun little game! Although in theory, we would all love it if the toys we got our pets were indestructible, the truth is it’s better for your dog if the toy comes apart when bitten really hard, especially in the case of plastic toys. Giving in to your dog’s teeth makes it less likely that your dog will hurt himself during playtime. Dogs have been known to suffer from fractured teeth which can be very painful and traumatizing, not to mention expensive when dental surgery is required to fix the problem. Imagine if you gave your dog a thick stick of polycarbonate used in police riot shields to play with and you can easily see how, although it would certainly make for a more durable toy, it would likely come at the expense of a heavy vet bill which may only be partially covered by dental insurance. So the money you might save with a truly solid indestructible dog toy is likely a false economy when you take into account vet’s bills from damaged teeth on such a toy. Of course, it goes without saying you should give your dog as much variety in toys as you can afford to stop him/her from wearing them down or getting quickly bored with one toy. Rotating the toys – taking a toy or two out of circulation and then returning them later – helps freshen up the array of toys your dog has for playtime and is also a good strategy for saving money on toys. If you allow them to figure out a quick way of destroying the toy it might be an idea to find an alternative and come back to it later. You know from personal experience dogs like to mix up their games. Don’t give them the excuse to destroy a toy just because they are bored of it. If you want the best out of your dog toy, correct sizing is really important. Dogs, like toddlers, are always susceptible to swallowing small toys, so it’s always prudent to choose a chew toy that will be big in their mouth. As a rule, any toy you get him should be larger in size than the space between your dog’s rear molars when measured across the jaws. If you’re unsure what size this might be you can always consult a dog specialist. One common thread that runs through all dog toys, regardless of type, is the need to observe safety precautions during playtime. Chew toys, especially, require close supervision of your dog’s chewing activity to avoid complications such as breakage of teeth, choking or blockage of the digestive system. Avoid toys with parts that are sewn on, like beads for eyes, which can cause your dog to choke if swallowed. 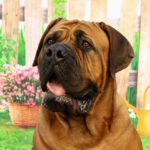 Avoid using tennis balls for playtime with really big dogs as these can sometimes present a choking hazard. Constantly inspect toys for damages such as cracks, tears or fraying. If a toy is worn out you should discard it immediately. The larger and more aggressive chewing your dog, the more you should keep an eye on it to make sure it doesn’t make lighter work of the toy than you expected. When all is said and done, a toy’s ability to withstand destruction boils down to your dog’s peculiar chewing habits and the quality of the toy itself. 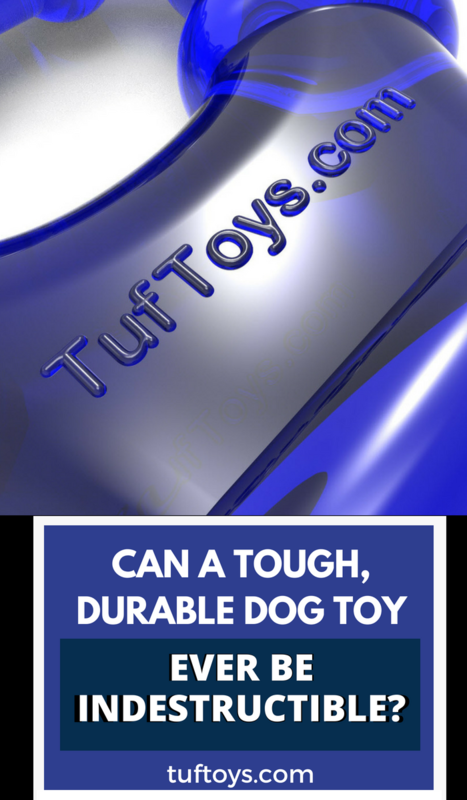 TufToys products are tried and tested to stand up to some of the most aggressive chewing meted out by your dog without hurting their teeth. Made from long-lasting super durable ThermoPlastic Rubber (TPR), we guarantee more play cycles that your average toy which will leave your dog thoroughly entertained and exercised. Of course, we cannot and do not claim they are indestructible as this is actually not a good thing. Aggressive chewing dogs should be able to bite into toys a little bit to avoid the inevitable chips and teeth fractures that would come with a plaything that is simply too hard to bite into. Anything your dog can bite into can eventually be destroyed. The speed at which he/she will do this will obviously depend on how powerful a chewer he/she is and how intent (read hell bent) they are on destroying it. Do they see the toy as a plaything or as a challenge? This will come down to the personality of your dog and it is sometimes very difficult to ascertain the success of the toy beforehand. If they are not that interested in destroying the toy, a really tough one will last months. If they become quickly obsessed with destroying it, it might only last minutes! If our toughest toys are quickly dismissed by a power chewing rascal keen on destruction, we suspect all the toughest toys on the market will suffer the same fate. C’est la vie! The following table is ordered (in the first column) by most searched for dog breeds in Google, not popularity.